You may want to keep an eye out for speed traps -- a stretch of road where the speed limit suddenly drops for no reason and there's always a cop with his radar gun ready -- the next time you drive through these places in Texas and Oklahoma. I have personally gotten more speeding tickets driving to Dallas than to Oklahoma City, and I drive up to Oklahoma City frequently. That's why I was shocked by this new study that has determined the worst speed trap cities and states in America. 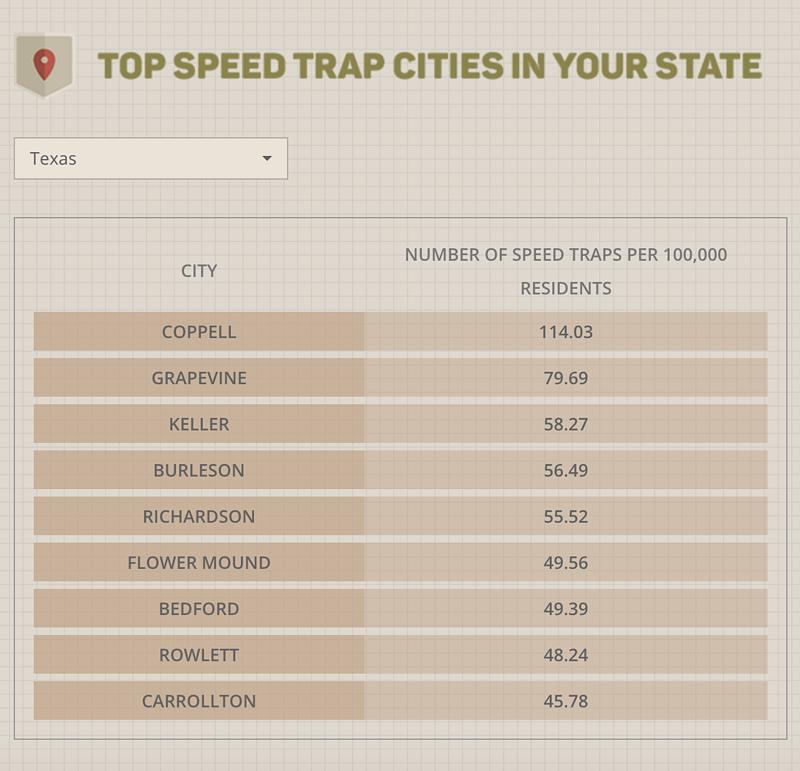 Texas is actually pretty low on the list, coming in at number 33 with a total of 19.1 speed traps per 100,000 residents. According to Thrillist, the most notorious speed trap in Texas is Ocean and Arroyo, Los Fresnos. Looks like you need to be more careful in Oklahoma though. The state comes in at number five in the whole country for the most speed traps. Moore has 46.22 speed traps per 100k residents and tops the list for Oklahoma. According to Thrillist, it's easy to catch out of state speeders since it's right on the Arkansas border. Enid takes the number two spot with 37.46 speed traps. The most notorious speed trap in Oklahoma is US 412 at the Arkansas border. Like I said, all of my speeding tickets have been in Texas, so I was shocked by this. Thanks to lovely officers in Decatur and the bike cop hiding in the bushes on Maplewood right here in Wichita Falls. Yeah, if you're driving on Maplewood towards MSU, be on the lookout for a cop on a bike sitting under a tree near those apartments.